Saturday Night at the Movies: "Me and Orson Welles"
From November 2009: Richard Linkater’s Me and Orson Welles is a jazzy, fast-paced, high-spirited theatrical romp, the kind of backstage tale that Hollywood used to crank out every other week, only this time with the real names and most of the good, ribald stories left in. The “me” of the title is Richard Samuels (Zac Efron), and he is a fictional character; the film is based on a novel by Robert Kaplow. But just because it’s fiction doesn’t mean it isn’t truthful. It is based on upon a real turening point in Welles’ life and career: the Mercury Theater’s modern-dress staging of Julius Caesar. 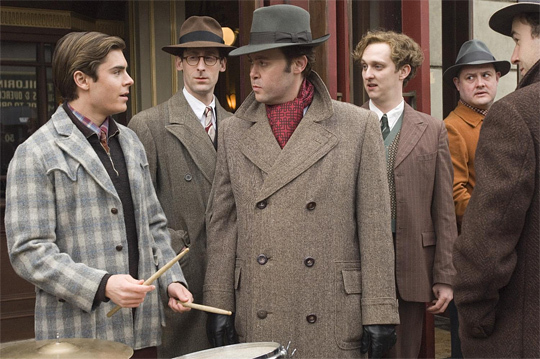 On DVD: "You Will Meet a Tall Dark Stranger"
We have a tendency as filmgoers to take Woody Allen for granted. The fact that he is still chugging away, knocking out a film a year at 74 years old, is indeed impressive, and one frequently marvels at not only the consistent quality of his work, but the relative indifference when he hits pay dirt--i.e., if some young up-and-comer had knocked out a Vicky Cristina Barcelona or Match Point, he or she'd have been hailed as the Second Coming, but when it's Woody, we just chalk it up as an expectation, rate it on a comparative scale to his previous masterworks, and move on. It's not fair to him, or to the work. 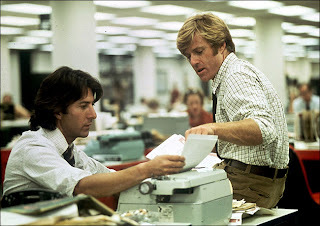 New on Blu: "All the President's Men"
Of course, in retrospect, there's every reason in the world for All the President's Men to have failed. It was purporting to tell the true story of the reporters that broke the Watergate story, but those reporters were being played by two of the biggest movie stars in the land; the director was Alan J. Pakula, who helmed thrillers like Klute and The Parallax View; the script was being written by William Goldman, best known for writing the snappy repartee of Butch Cassidy and the Sundance Kid. It's probably reasonable to assume that everyone was expecting a slicked-up, Hollywood-ized star vehicle, an easily digested (and just as easily forgotten) piece of studio fluff. What they got instead was one of the single best films of one of the cinema's finest eras.